"showcasing a chameleon-like style both hell-bent on defying jazz’ many sub-genres and putting his stamp on them all." This was such an awesome treat to hear Chris Hardwick mention my new album Present Time. A special thanks to Dr. Manny Rodriguez for making this happen. 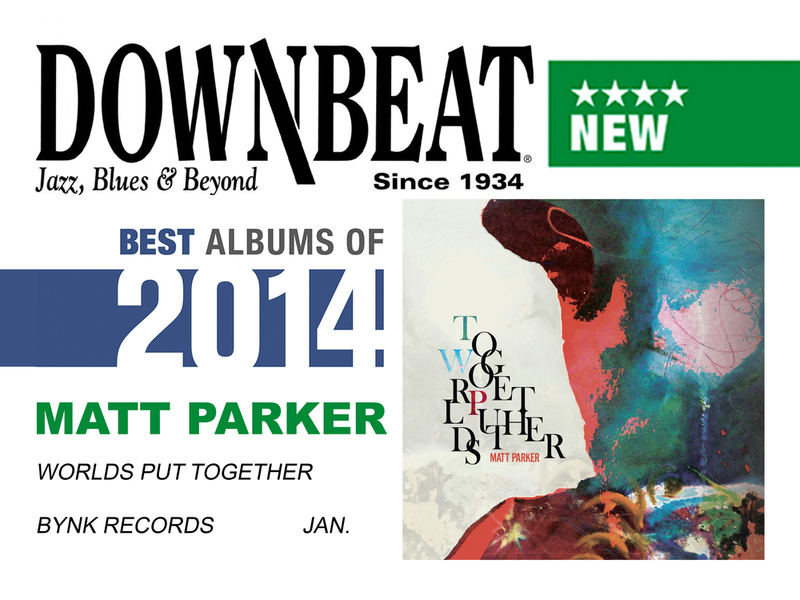 "with this polished, soulful outing that's really more of a thrill ride than any Great America roller coaster." For ticket information, please call 646.779.8455 or e-mail boxoffice@nationalsawdust.org. The box office is open daily 12pm-6pm (except on holidays) and during performances. "Parker dutifully worships at the mantle of tradition, but then turns it on its ear"
★★★★ Something fresh is afoot on tenor saxophonist Matt Parker’s impressive debut, Worlds Put Together … Restlessly inventive … This promising debut makes him an album-maker to keep tabs on. That phrase pretty much sums up Worlds Put Together, a stunning and stimulating recording. It’s one of my favorite albums of the year – be it debut or otherwise. Crazily exuberant and undeniably soulful. … Some tracks go flying off the rails, but that just makes it more exciting. Just a very fun album. Find of the Week. A warmly swinging showcase for his breathy, Ben Webster-esque flow. For this middle-of-2013 version list of best modern and mainstream jazz records, I expanded the meaning of “modern and mainstream jazz” a little bit this year to take into account jazz that’s the “mainstream” or “modern” of today. Parker can’t be pigeonholed into just one tradition. … The saxophonist sounds comfortable promenading down multiple paths.